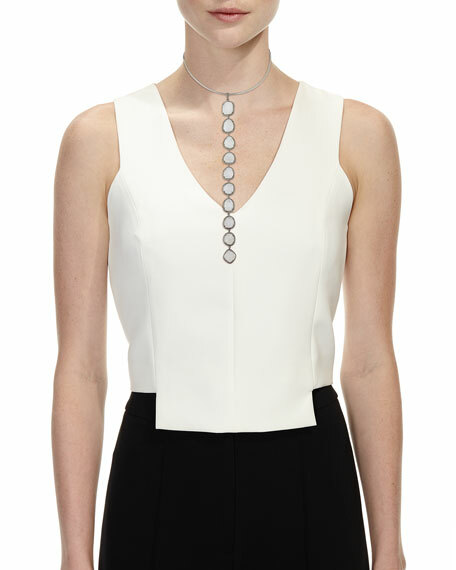 Collar necklace by Siena Lasker. 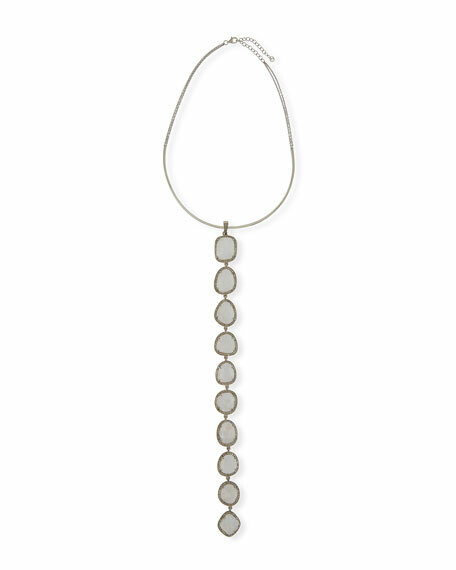 Elongated center drop with linear, stacked moonstone pendants. 60.40 total moonstone carat weight. 2.65 total diamond carat weight.